Typically Hollow ground or with a raised central rib to reinforce the blade in the thrust, but tapers gradually to a point making it both effective in the cut and the thrust. Any type of cross guard from the era could be used, but type 11 (pictured) with a downward curve was prominent. Used throughout the 15th century as lighter armor was used in response to increased use of projectile weapons on the battlefield. 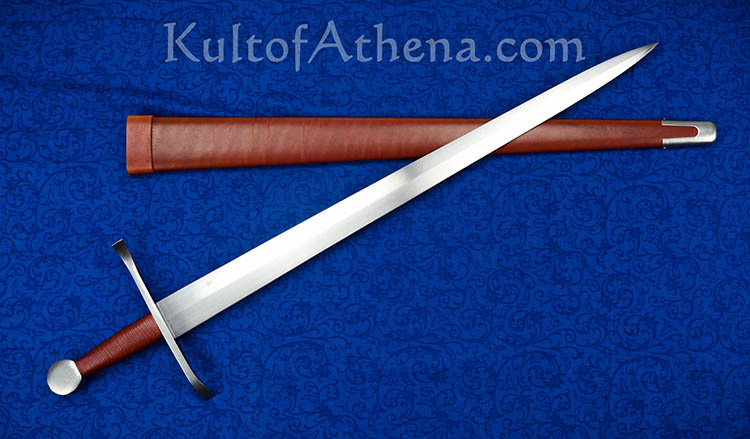 The Oakeshott type XVIII was in many ways a throwback to swords of the earlier medieval period. 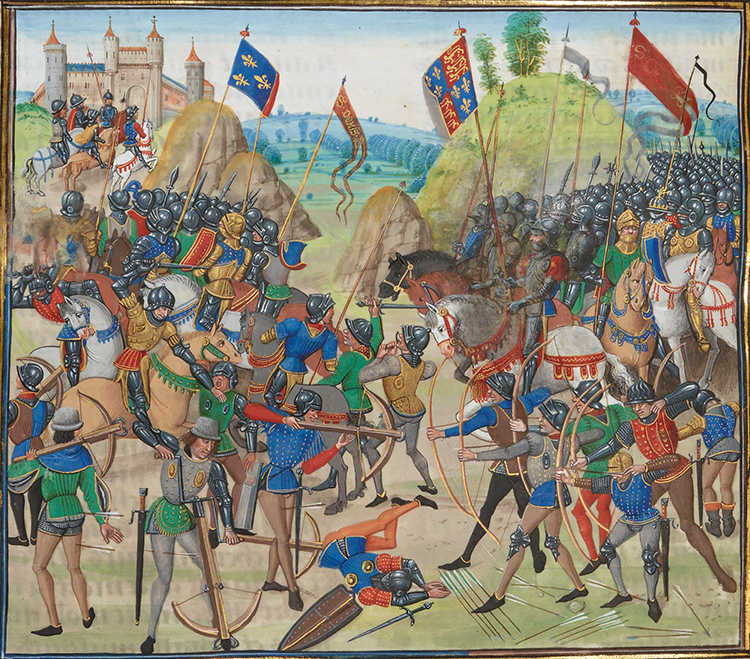 As the increased use of powerful missile weapons began to dominate the battlefield of the 15th century, even the best plate armor was becoming less effective, and the heavier armor types started to be discarded - though were still in use, so simply going back to cut orientated swords was not a suitable solution. Instead, they combined the best features of armor piercing blades with dedicated cutters, swords broad at the base with a reinforced diamond cross section terminating in the classic armor piercing tip. 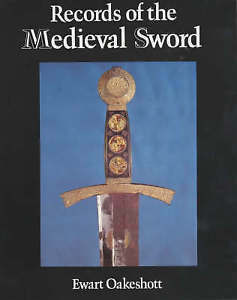 Within the Type XVIII classification were many sub-types, and this sword was immensely popular from the period dating from approximately 1410 for at least 100 years and quite a few surviving examples, from swords for footsoldiers to blades literally fit for a King. There are quite a few decent battle ready replicas of the Type XVIII swords. Below are the most historically accurate, yet relatively affordable, models currently on the market. Designed by the legendary Gus Trim, this classic Type XVIII is well balanced, well made and a faithful replica at an entry level price point and would have to be the first choice for anyone looking to buy a historically accurate version of the XVIII. You can clearly see from the blade profile alone that it is a good cutter, and the diamond profile tip is would wreak havok if thrust into the weak points of plate armor. Windlass Steelcrafts released a version of the Type XVIII which they conveniently named the Type XVIII.. With a hollowground profile, and more attractive fittings than the Kingston Arms sword, it costs a little more to get it to the same standard, requiring the sharpening service for an additional $20, but is well worth the extra investment to get it as accurate as possible. This is a sword truly fit for a King - and as one of Arms and Armors most expensive recreations, costs a Kings ransom to be able to afford to buy one. But this faithful recreation of a sword that was the focus of some controversy if it really was Edward's (argued by Oakeshott, who provided enough evidence in the end to strongly suggest that it was) is both historically accurate and truly beautiful in every aspect. MyArmory has an excellent in depth article on Type XVIII swords here which explains their history and lists some high end reproductions and images of actual antiques.